The Archdiocese of Baltimore recently announced the finding of credible accusations of sexual abuse of adults committed by two bishops: Michael Bransfield, former bishop of Wheeling-Charleston, WV; and Gordon D. Bennett, retired bishop of Mandeville, Jamaica (and earlier, auxiliary bishop of Baltimore). What first strikes me here is Lori’s provision that Bransfield may not exercise episcopal or priestly ministry in the Baltimore or Wheeling-Charleston. I can only guess that this provision was imposed or consented to, in some way, by the Holy See. Lori does not have authority in canon law to prohibit a fellow bishop, who is not subject to a canonical penalty or to restrictive disciplinary provisions publicly imposed by the Holy See, from exercising his priestly and episcopal ministry. The Holy See and the Baltimore Archdiocese should clarify this. I am not opposed to restrictions being placed on Bransfield. But Archbishop Lori’s authority does not extend that far. Only the pope can place such restrictions on a bishop. 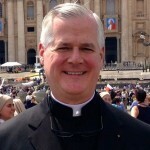 Lori could have prohibited Catholic institutions in his two dioceses from inviting Bransfield to exercise any public functions. But he does not have the authority, for instance, to prohibit, in a universal way, Bransfield from hearing confessions or anointing the sick in Wheeling if such priestly ministrations are requested. In this case, the Holy See has imposed these restrictions on the bishop and allowed Lori to announce it publicly. But questions remain about what happened back in 2006, and why we are only learning about this now. So Bennett was cleared in 2009, but nevertheless was at the same time put under some form of restriction and supervision. Why was he subject to this provision if he was found not to be guilty? And then last year his case was re-examined and he was found to be unsuitable for the exercise of episcopal ministry, presumably because he was now found guilty of the serious canonical offense of sexual harassment of a young adult. Yet, his further exercise of priestly ministry, as opposed to strictly episcopal ministry, is an open question to be decided upon by “his Jesuit superiors”? This is puzzling for two reasons. First, Gordon Bennett is a bishop, thus he is not under the authority of the Jesuit superiors of the province to which he formerly belonged. He is under the authority of the Holy See alone. If he has, in fact, been deprived of the exercise of his episcopate, then the Holy See should state that and indicate that he has been placed under the authority of the Jesuits. Second, why would he even be considered eligible for the further exercise of priestly ministry if his past actions have led the Holy See to prohibit him from exercising his role as bishop? Why would the Holy See make this split decision? A clarification is very much needed. This double announcement marks an important step in the ongoing abuse crisis, even given the canonical questions that remain. A bishop (Bransfield) was subject to a thorough investigation by lay experts assisting the archbishop (Lori) who had been asked by the Holy See to look into serious allegations of sexual harassment of adults. The Holy See is clearly responding to the widespread dissatisfaction with the way similar charges were dealt with in the past, as was the case of a bishop (Bennett) who was allowed to resign quietly in 2006 after the papal nuncio was informed of an allegation of sexual harassment of an adult. The bishop was allowed in 2009 to continue his episcopal ministry in a new location under some form of private, unpublicized restriction and oversight, even though the Holy See, according to the Jesuit provincial, had “cleared” him of the charge of sexual harassment. That decision has now been set aside by the Holy See, presumably because it could not be defended – if it came to light publicly. The bottom line here is: accountability and transparency regarding episcopal sexual canonical offenses with adults are the new order of the day. The grave injustice of the protection of sexual predator bishops by the Holy See when the victims were above the age of 18 years has been acknowledged. This is a very positive development. Let’s hope we see many more.